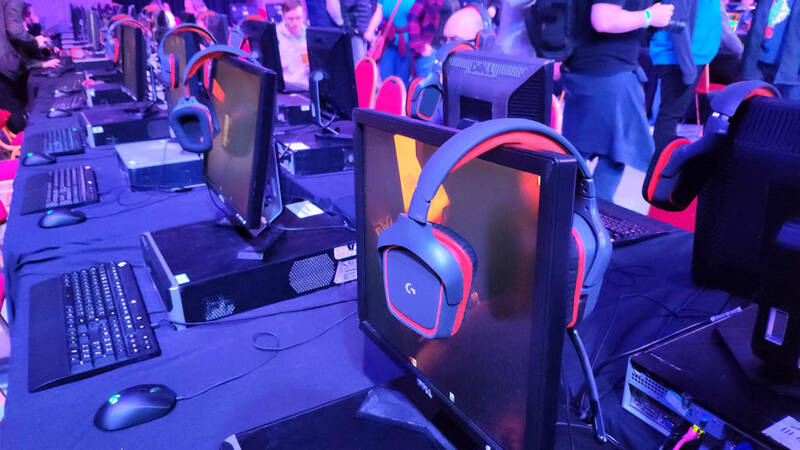 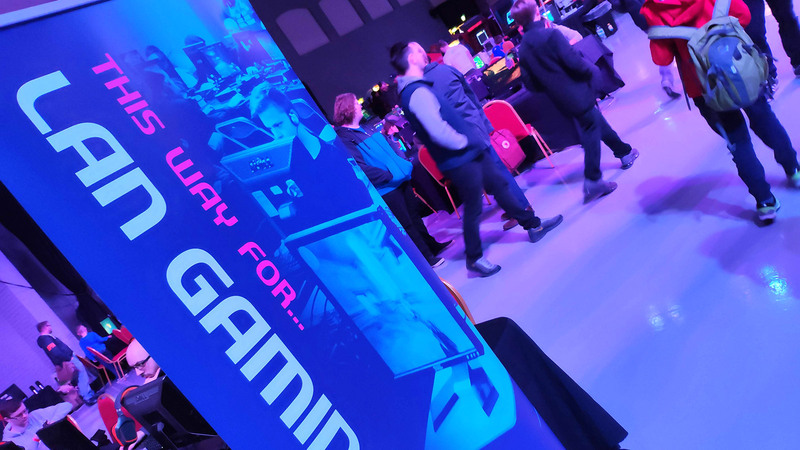 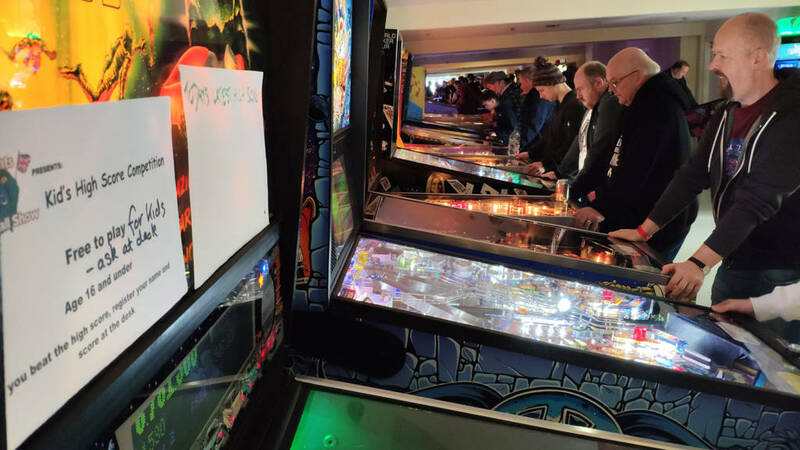 For the final weekend in October, we head up England’s North-West coast to the city of Blackpool and the Norbreck Castle Hotel, home of this year’s Play Expo show. 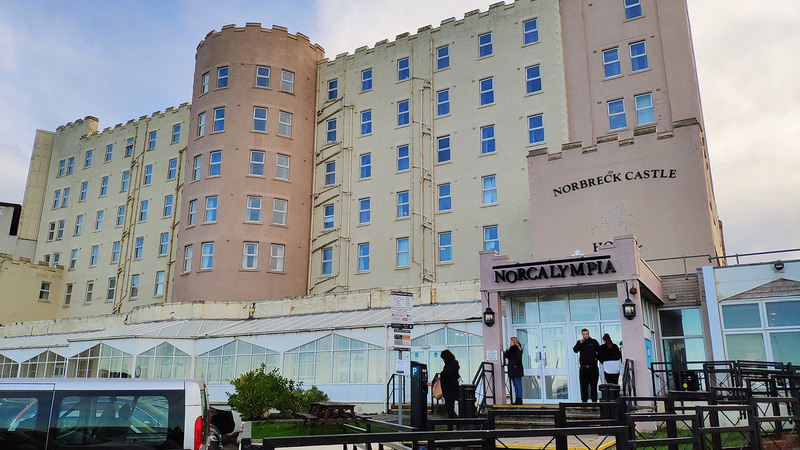 The Norbreck Castle HotelPlay Expo is being held in the Exhibition Centre, which is in Norcalympia – the left part of the somewhat sprawling complex of function rooms and guest accommodation. 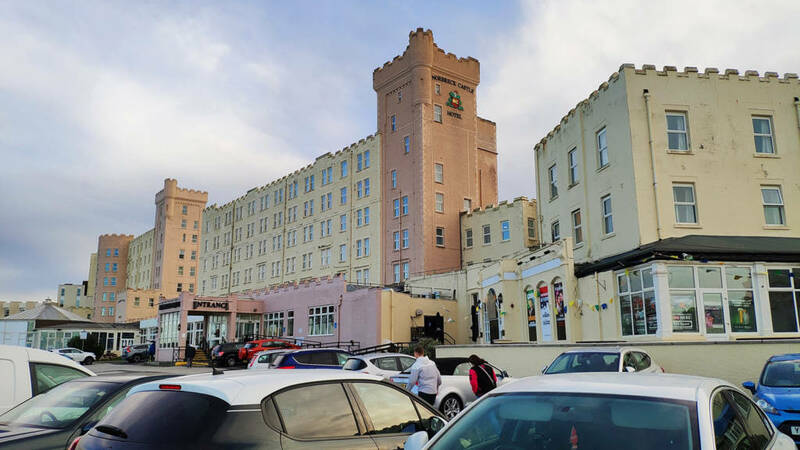 The building looks rather run-down and in need of either significant restoration or something more drastic. 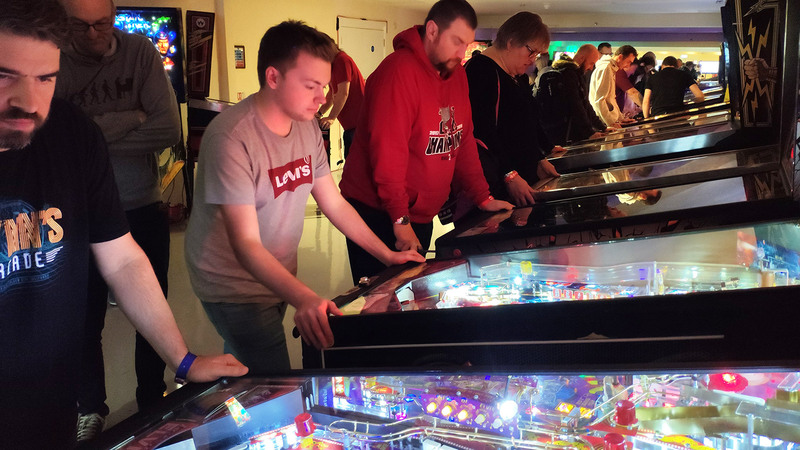 The part of the complex housing the Exhibition HallPlay Expo is a large retro gaming show featuring hundreds of PCs, consoles, handhelds, arcade video games and, of course, pinballs. 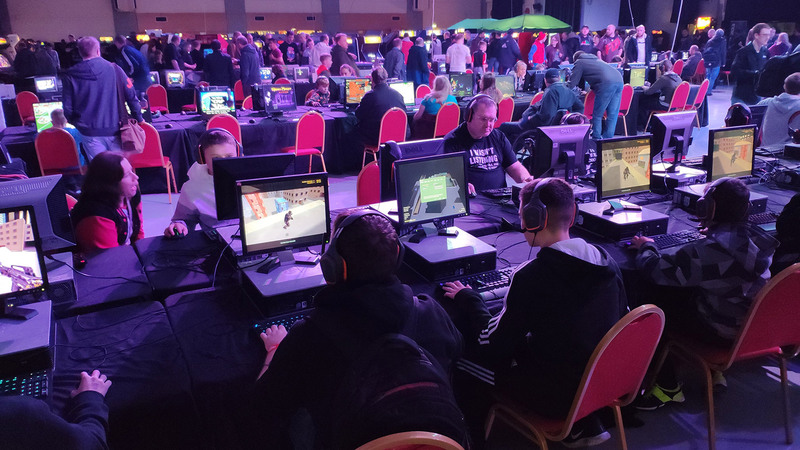 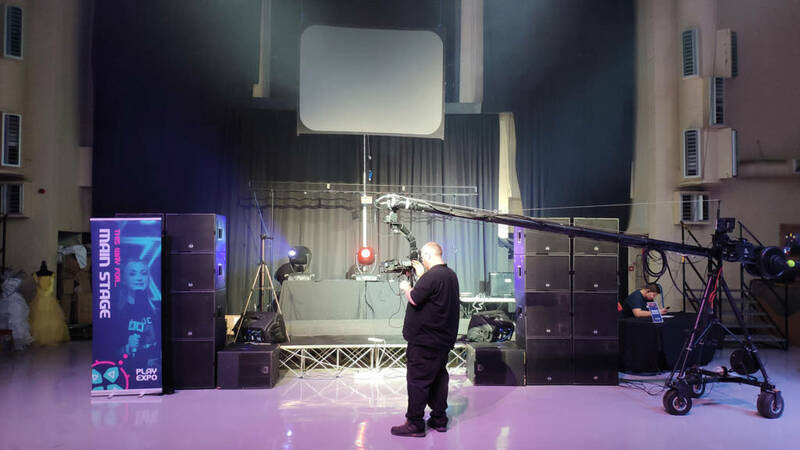 For the last few years it was held at the EventCity exhibition hall in Manchester but, apparently, the owners of that facility had become too difficult to work with, and so for this year only the show has returned to the place it all began – Norbreck Castle in Blackpool. 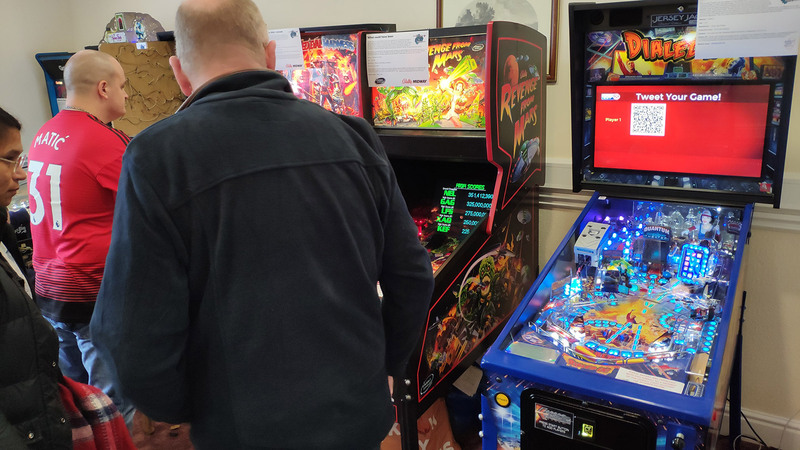 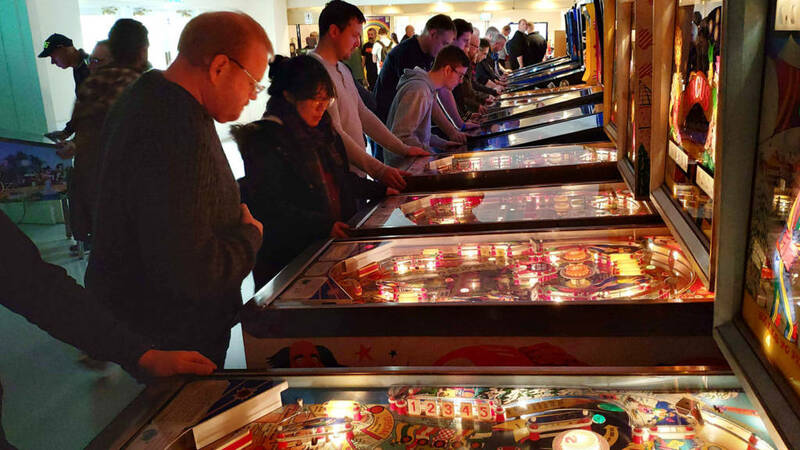 We arrived on Friday evening during the set-up time to check out the pinballs provided and managed by the Northern Lights Pinball team. 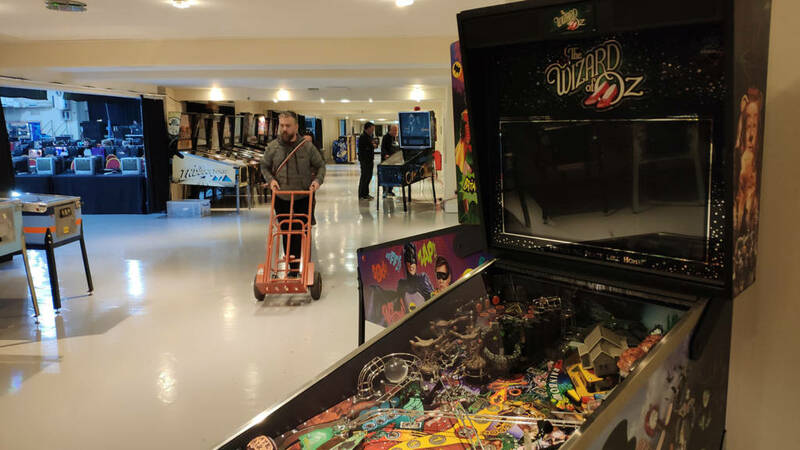 These machines are located in a corridor running down the length of the adjacent main hall. 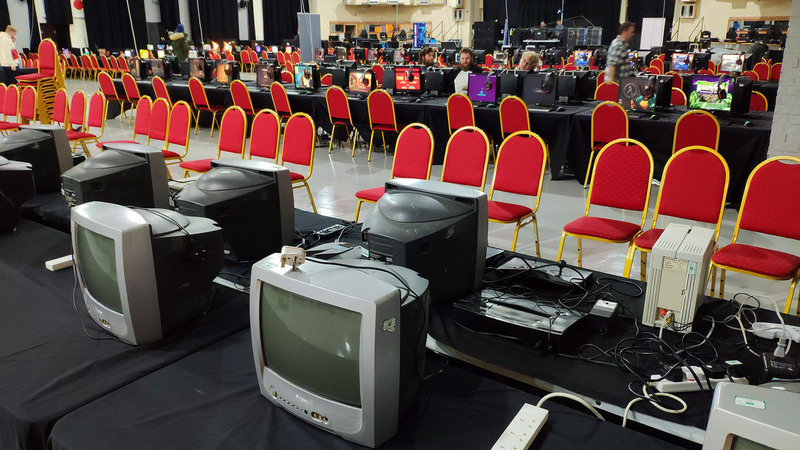 Setting up the last few machines These seven had just arrivedThe main hall was also looking pretty complete, with all the games, computers and consoles in place ready for the start of the show at 10am the next day. 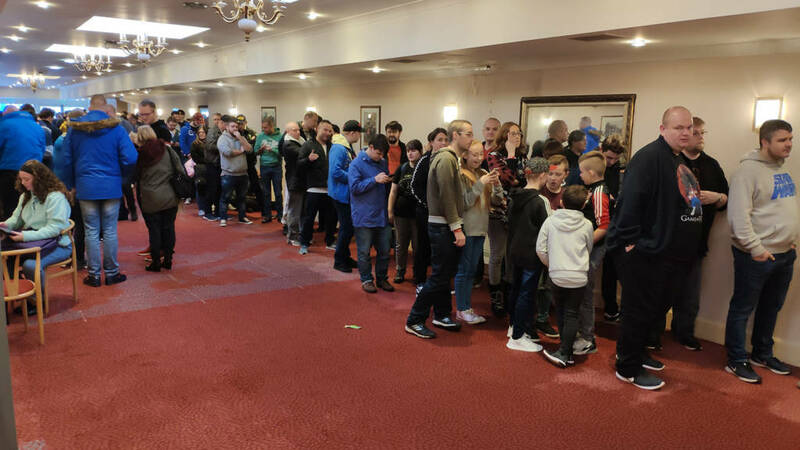 Inside the main hallWe returned on Saturday morning before the doors opened to the public, and there was a sizeable queue of visitors waiting for the start of the show. 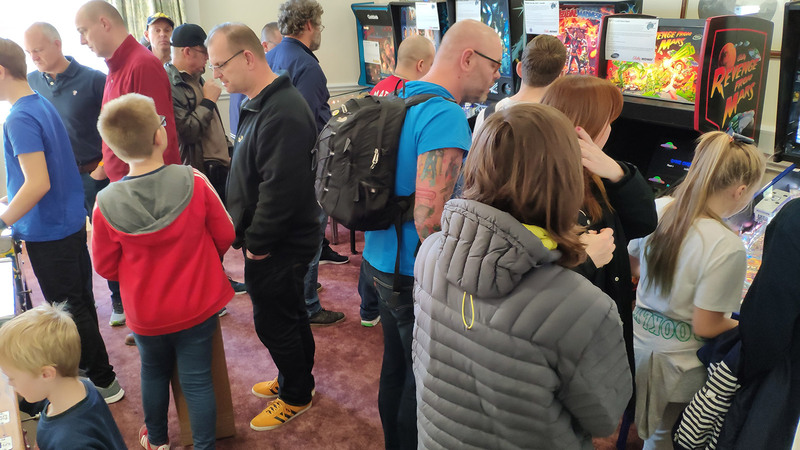 Part of the queue to get in just before 10am on SaturdayMembers of the Northern Lights Pinball team were going over some last minute organisational details and fixing machines which didn’t survive the journey to Blackpool unscathed. 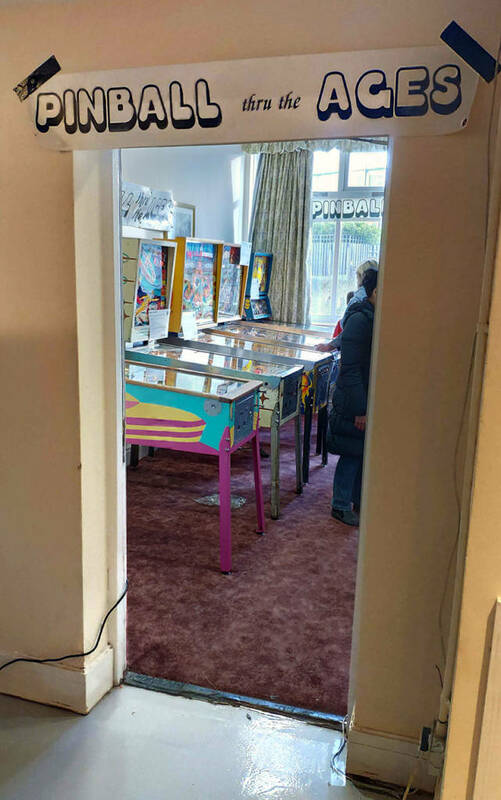 Getting everything straight before the doors open F-14 Tomcat gets some last-minute attentionIn a small side room, a curated set of machines formed the Pinball thru the Ages collection, complete with explanatory cards showing how pinball progressed through its history. Pinball thru the Ages thru here The older pinballs on the left – Kick-Off, Space Ship, Wizard!, Paragon and Mr. & Mrs. Pac-Man Newer machines on the right – Deadly Weapon, The Addams Family, Medieval Madness, Revenge from Mars and Dialed In!Once the doors were opened at 10:00 sharp, it took around twenty minutes before all the pinballs were occupied. 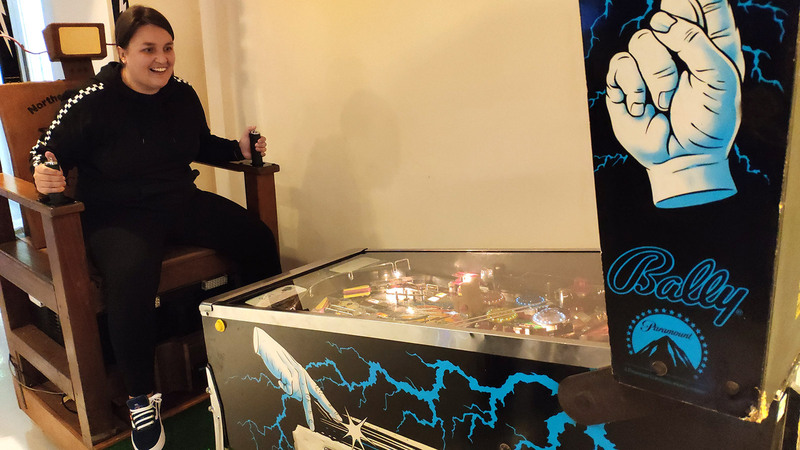 AC/DC ProMetallicaAddams Family, TheMr & Mrs Pac-ManAddams Family, TheNautilusAerobaticsNBA FastbreakAerosmith ProNBA FastbreakAvatarParagonBatman 66Queen’s CastleBatman: The Dark KnightRevenge from MarsBlack Knight 2000RobocopBlack RoseSilver SluggerCircusSki JumpCreature from the Black LagoonSkill PoolDeadly WeaponSouth ParkDialed In!Space JamDracula, Bram Stoker’sSpace ShipElvisSpectrumF-14 TomcatSpider-ManFamily GuyStar Trek (Data East)Flintstones, TheStar Wars (Data East)Free FallTerminator 2: Judgement DayGetaway, The: High Speed 2Theatre of MagicGetaway, The: High Speed 2Tron LegacyHobbit, TheWhoDunnit?Indiana Jones: The Pinball AdventureWizard of Oz, TheIron ManWizard!JackbotWorld Poker TourJunk YardWorld Poker TourKick-OffX-FilesMedieval MadnessThe Addams Family electric chair challenge – as featured here in Pinball News – was back, giving visitors a new way to experience the classic game. 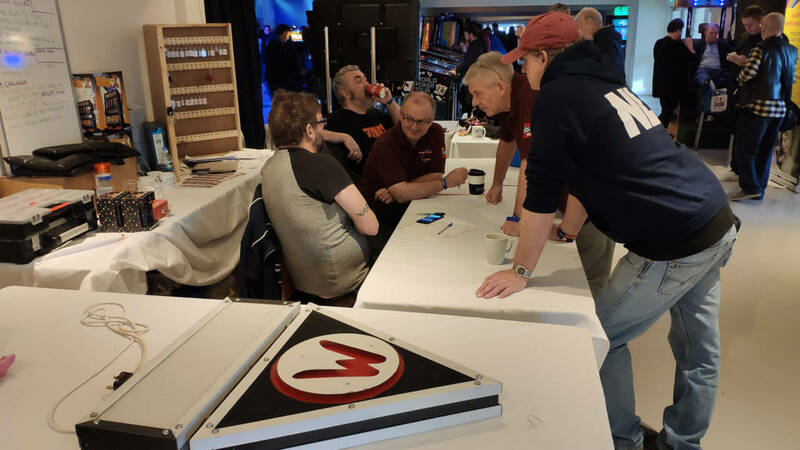 The Addams Family Electric Chair Challenge Ad Jonker brought his Silver Slugger and Free Fall games from the NetherlandsThere were three high score competitions taking place. 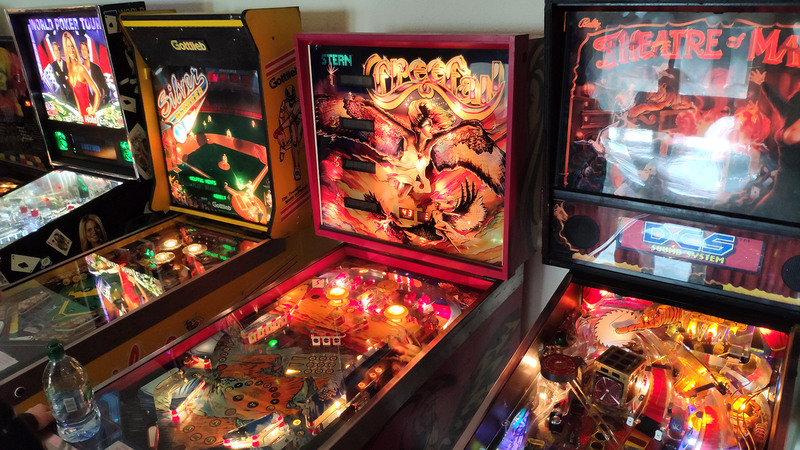 The adult one was being run on World Poker Tour, the kids one on Creature from the Black Lagoon, and there was an EM competition held on Skill Pool. 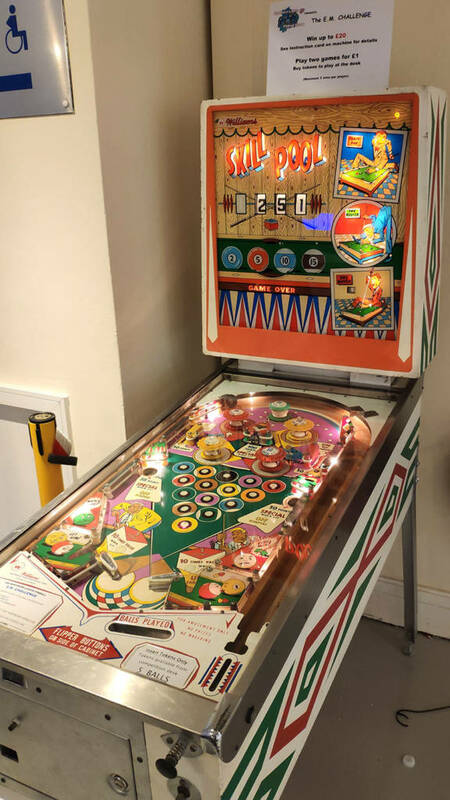 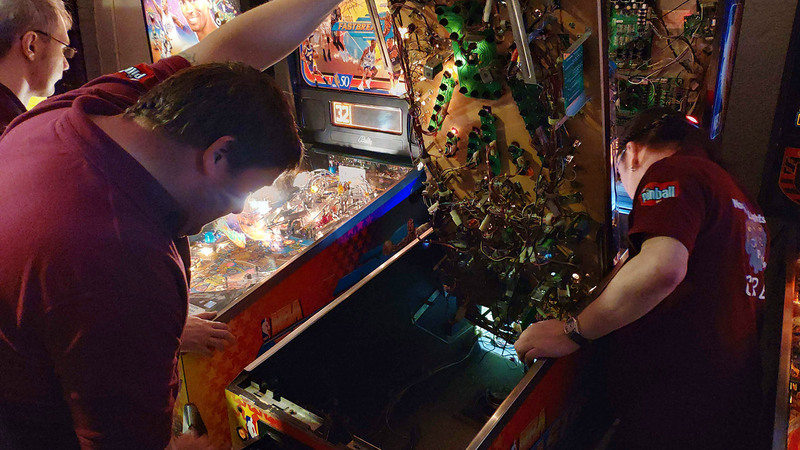 Creature was the Kids high score machine The EM high score competition machine All the machines remained busy throughout the day It was especially busy in the Pinball thru the Ages roomOccasionally, all the constant play took its toll and a machine developed a fault, as pinballs do. 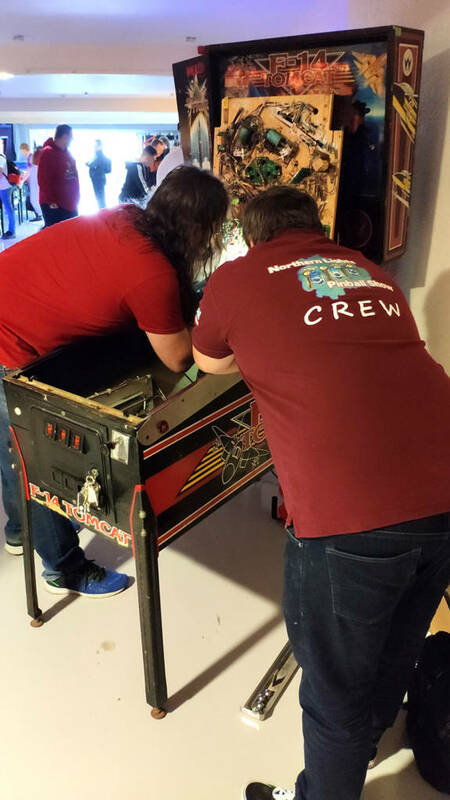 Every machine was numbered, and faults could be reported at the organisers’ desk for swift attention. 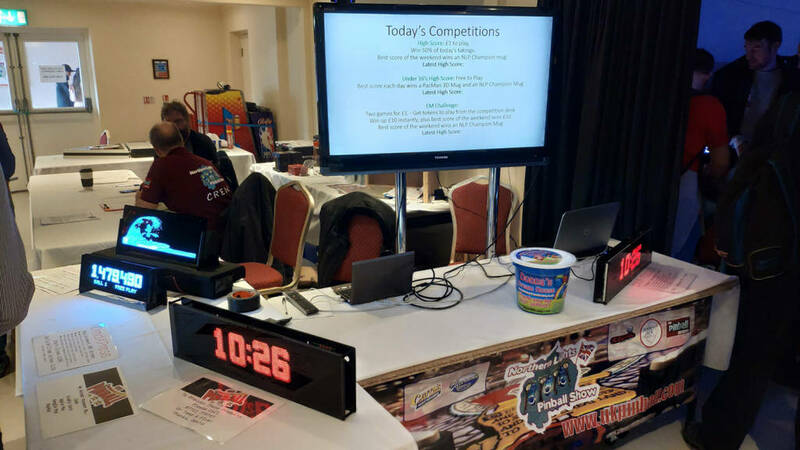 The organisers’ desk held the keys and also had various LED displays for sale This NBA Fastbreak had lost all solenoid power – a fault traced to a broken wire on the coin door interlock switchThe rest of the show was just as packed, with any available spaces in front of monitors soon pounced-upon. 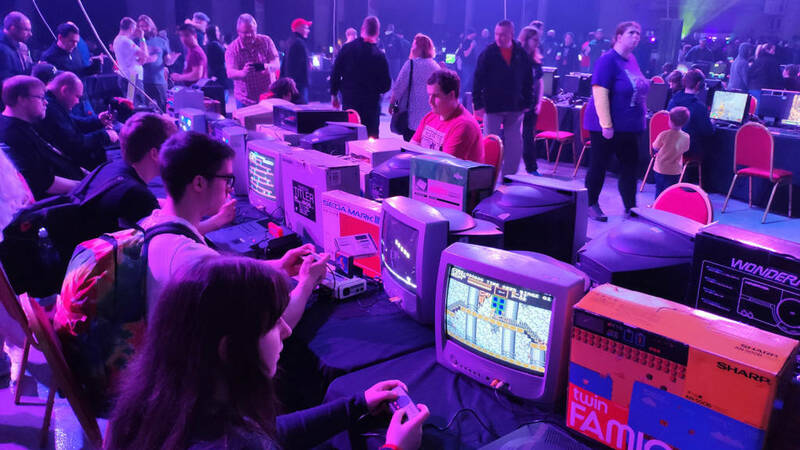 In the main hall Lots and lots of 8-bit and more-modern gaming Televised presentations and demonstrations were held frequently on the main stage Immersive and connected gaming were popular too LAN gaming held hereThe arcade video equivalent of the pinball display was located at the back of the main hall. 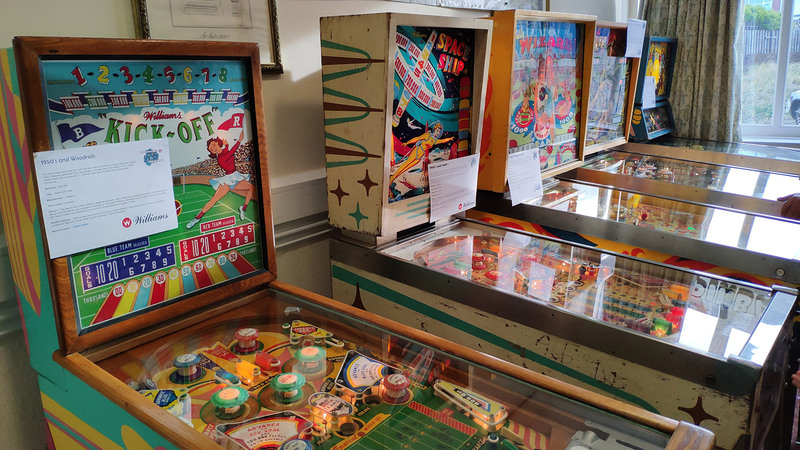 Several clusters of upright cabinets brought back many classic videos for visitors to enjoy. 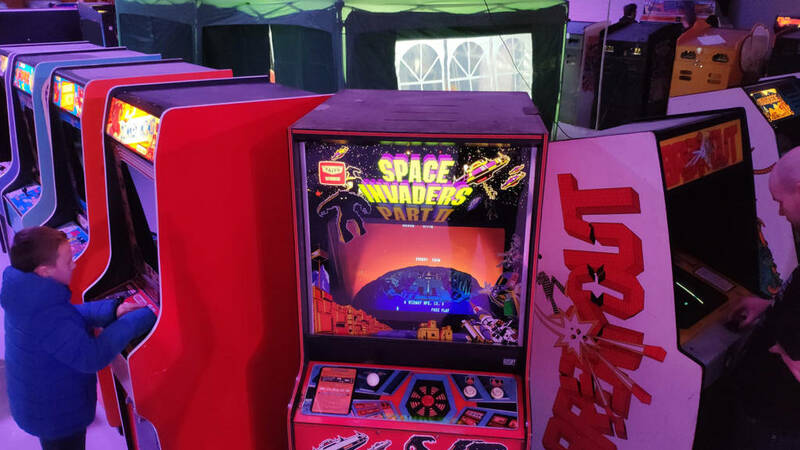 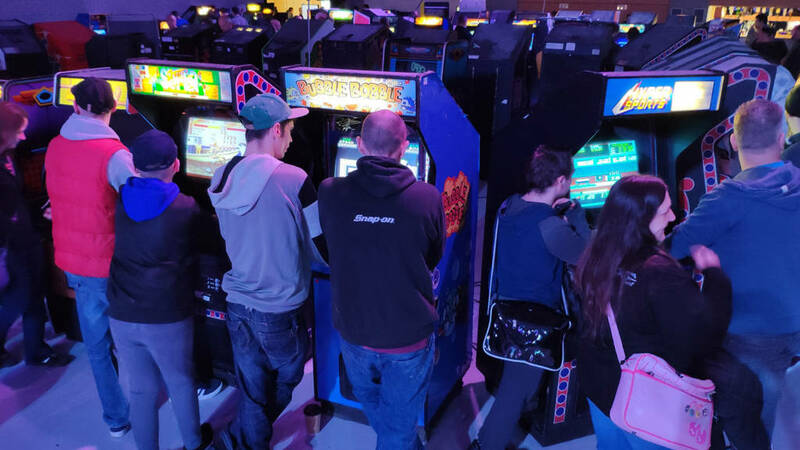 A few of the many arcade video games Classic titles to playPlay Expo 2018 is still continuing as we write this report, with a second day tomorrow. 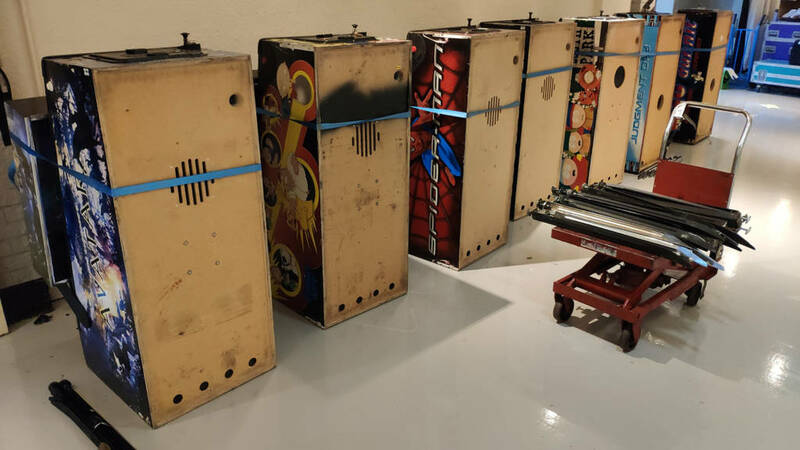 We’ll update this article with any developments.